Oh how we are missing the flavors of Summer!! We have tried to eat seasonally as much as we can this year. 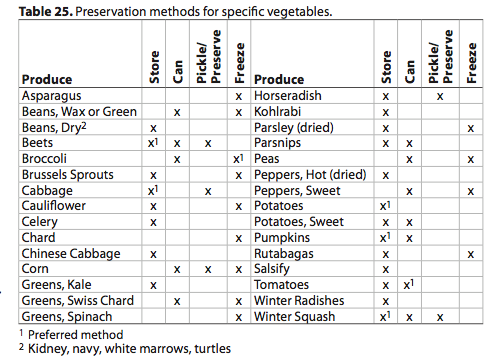 We've had plenty of sauerkraut, root vegetables, all sorts of Winter squash, and kale. We were so tired of peppers, tomatoes, okra, cabbage, green beans, peas and such by the end of the growing season this passed Fall that we were so happy to transition into Winter fare. Now we are getting to the point where we are itching for all of those foods we had gotten so tired of. The farmer's market has stopped carrying produce (we've just been stocking up on meat when we can make it), and our local grocery store does not carry local produce in the Winter. A goal of ours is to someday grow enough for us to eat plenty of fresh veggies in Summer with enough left to can and freeze to get us through the Winter. We aren't quite there yet. There is a lot of knowledge to be had and skills to be learned before we will be ready to do that. We are going to start small and work our way up to providing produce for ourselves, year-round. Since David came away from the farmer's market sans produce on Saturday, and we ate up the rest of our Winter squash yesterday, Ayden and I made a produce run to the grocery today. We came away with salad ingredients consisting of all of those out of season Summer veggies we have been longing for. Green leaf lettuce, mini sweet peppers, tomatoes, and cucumber as well as a carton of organic strawberries for dessert. The salad hit. the. spot. The tomatoes were surprisingly flavorful for this time of year and everything else was yummy too. The strawberries were okay. They were a little white in some spots and were definitely missing the sweetness of Summer but they were still a pleasant and refreshing change. Ayden kept calling himself the Big Hungry Bear and wanted to eat them all up. Haha. 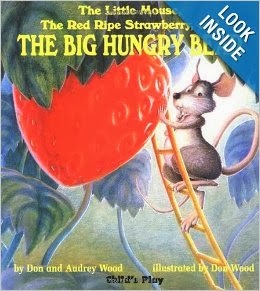 One of his current favorite books. We also know they had to have traveled a long way to get to us which is one reason we work so hard to buy local as often as possible (along with supporting the little guys, saving money and getting the best nutritional value in all that we consume). 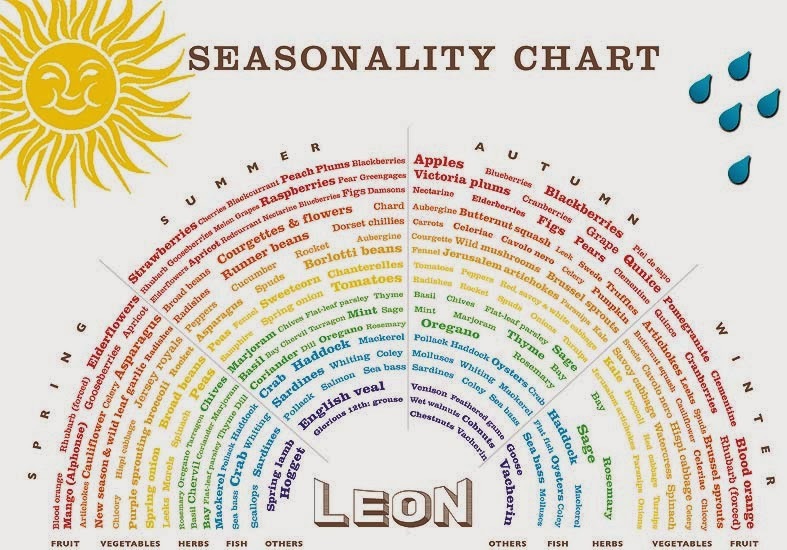 If you are curious about what is in season in your area, try googling "produce seasonality chart for [insert your state]" and see what might be available to you. I couldn't find one online for KY but here are a couple of examples for other states just to give a general idea. We have a magazine that a local university puts out that includes one for our area that we use. Eating seasonally and locally as much as possible was overwhelming at first but we have just taken it one step at a time. The longer we put forth the effort, the more we learn and the easier it gets. There are so many benefits that all of the effort is definitely worth it. Our money goes twice as far at the farmer's market than it does at the grocery store and we can shake hands with the farmers who provide it. We've even visited a few of their farms! Talk about knowing where your food comes from. It does get hard by the end of a season, though. You start to feel like you've been eating the same old stuff over and over again. Maybe that is all part of the motivation that drives a farmer/homesteader to plan out their garden and learn a bit more about food preservation! That way we can enjoy the flavors of Summer, year round, without having it travel across the country (or world!) to get to our plates. Nothing can get you excited about the next phase like being so ready for change. We won't have much of a garden ourselves this year what with building our house, having a baby and all (YIKES). We will be missing it for sure and will probably have BIG plans for the following growing season! Do you eat locally/seasonally when you can? Have you had a good experience with it? Are you SO ready for the change at the end of a season?? Flashback! Here's what we were up to one year ago today: "Moooo!" Thanks so much for info. I so agree. I miss summer produce, mostly peaches, watermelon and strawberries. Don't you just hate the taste of strawberries right now? Hopefully summer will be here soon. 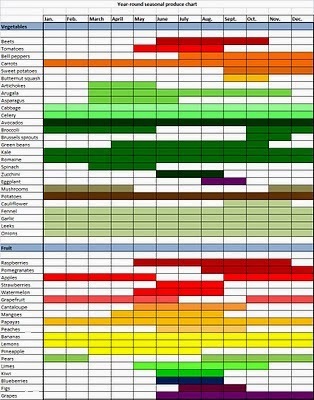 I love eating paleo during summer, but in winter I eat more grains then I should since produce is soooo high right now.